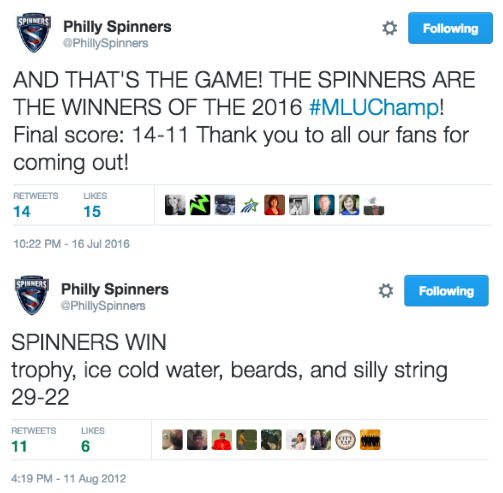 The Philadelphia Spinners won the MLU Championship on Saturday, July 16, by the score of 14-11 (7-6 halftime) over the Portland Stags. The Stags' 11 goals matches their lowest scoring output which happened during their very first MLU game - also a 11-14 loss versus San Francisco on April 23, 2013. The Spinners finish their championship MLU season with an (11-1) overall record. This is Philly's first Major League Ultimate championship in their 4-year MLU existence. 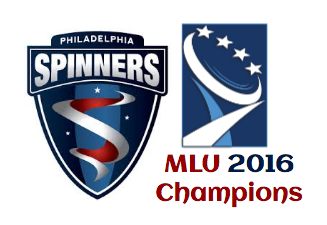 This is Philly's second pro ultimate league title since Philadelphia Spinners won the AUDL championship back in 2012.